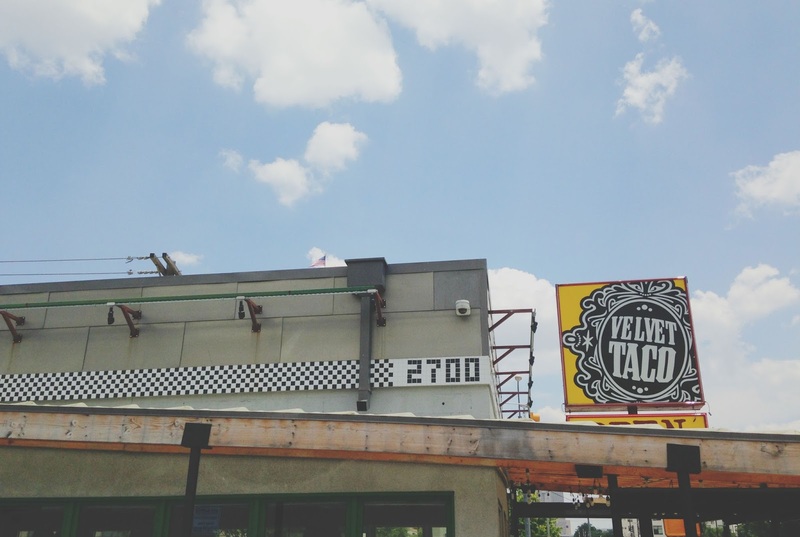 Velvet Taco opened in Houston yesterday, so it's totally appropriate that today I post about my experience there! ...at the Fort Worth location. 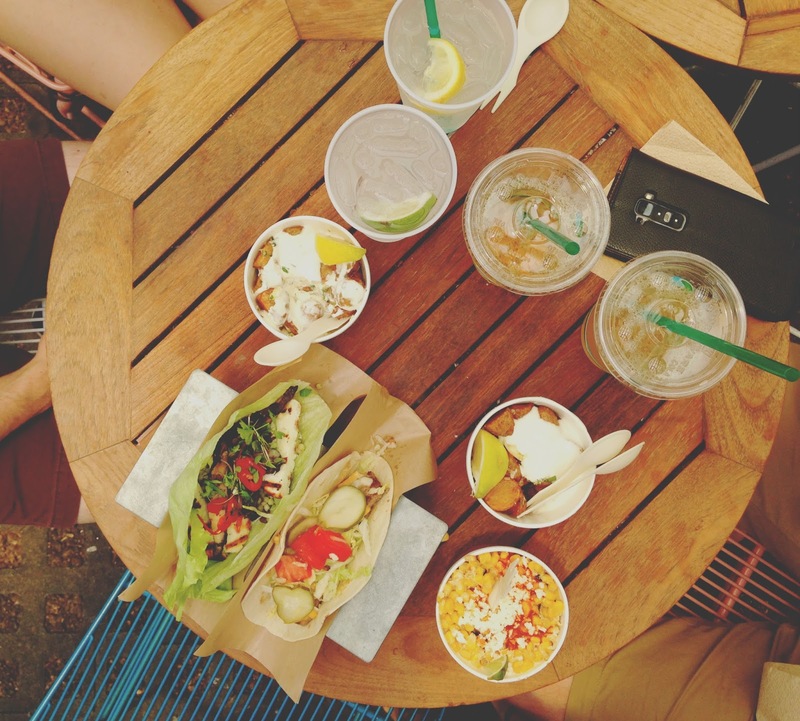 When I went to Fort Worth earlier this month for my sister Emily's birthday, she took all of us out to Velvet Taco for lunch. 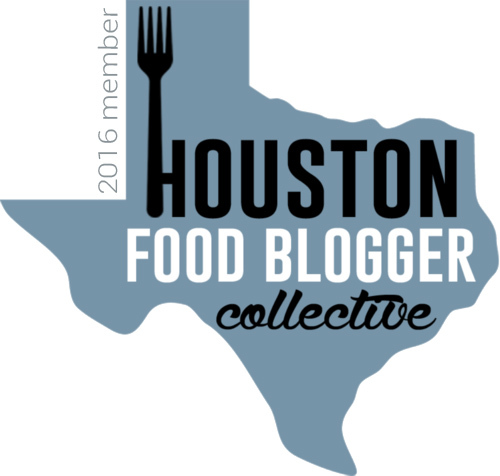 And I loved it so much, imagine my delight when I was informed that we'd be getting one here in H-Town a mere few weeks down the road! Full disclosure for what I'm about to say: I absolutely adore Austin. But when I think of the Austin food scene, all that really stands out in my mind is "funky taco restaurants." So when my funky taco-lovin', former Austinite, UT grad sister suggested a funky taco restaurant in Fort Worth it came as no surprise to me. What DID come as a surprise to me was how much more I liked this funky taco restaurant than any of the ones I'd been to in Austin. 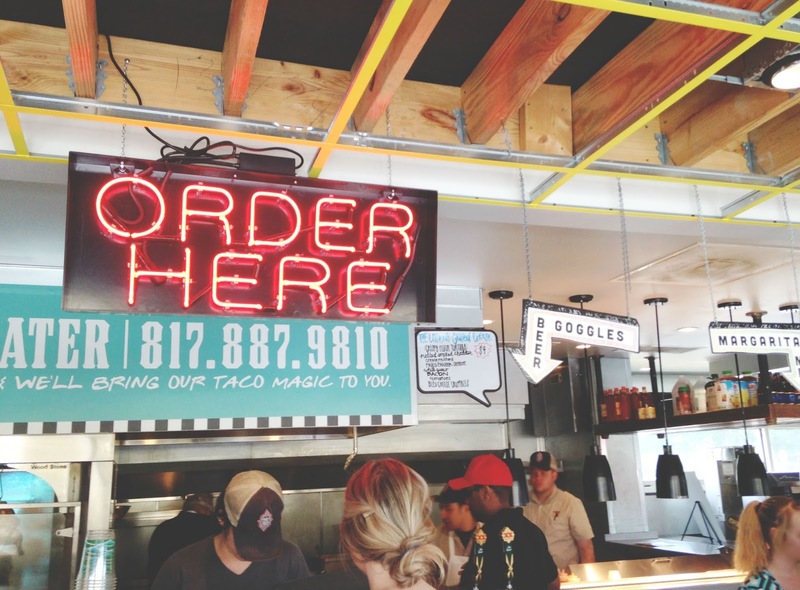 Don't get me wrong, I still visit Torchy's pretty regularly, but this place? Lord save my weak taco soul. For my meal I ordered the Israeli couscous taco. A lettuce wrap is filled with couscous, roasted portobello, pickled fresnos, micro greens, and grilled halumi cheese, and it's topped off with a mint pesto and cucumber dill yogurt. And look I'm with you - At first I was like, lettuce wrap? Really? I could have changed it to a flour tortilla, but I decided to throw caution to the wind and go with the lettuce, as the menu suggests, and I was not disappointed. The multitude of flavors and textures in this taco were outstanding. The mint pesto was light and refreshing, and it playfully balanced with the cool, tangy cucumber dill yogurt and spicy pickled fresnos. What really put me over the edge was the grilled halumi cheese though. The chewy, earthy, smokey grilled cheese was robust and almost meaty. I adored it. 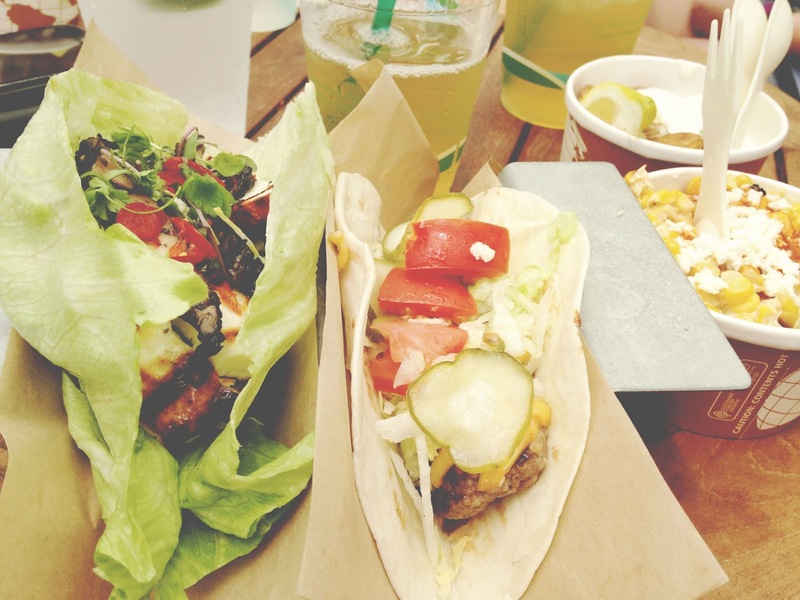 True to Jon form, he ordered the Texas burger taco, pictured right. He liked it. I also ordered a side of their rotisserie "elote-style" Mexican corn. And just look at it! 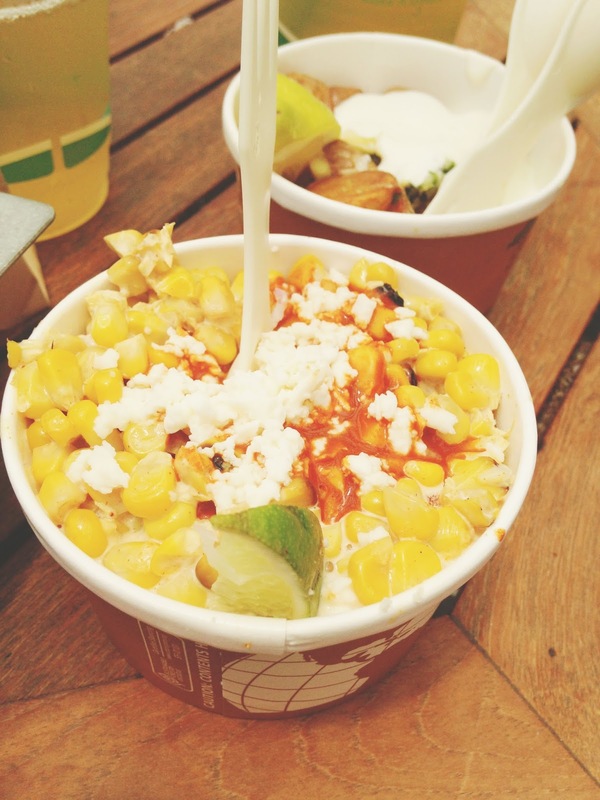 This might be the greatest corn dish I've ever had. Creamy, cheesy, and tangy with a little kick, it felt like an absolute indulgence. And know what else was an absolute indulgence? Yowzers, these were phenomenal. 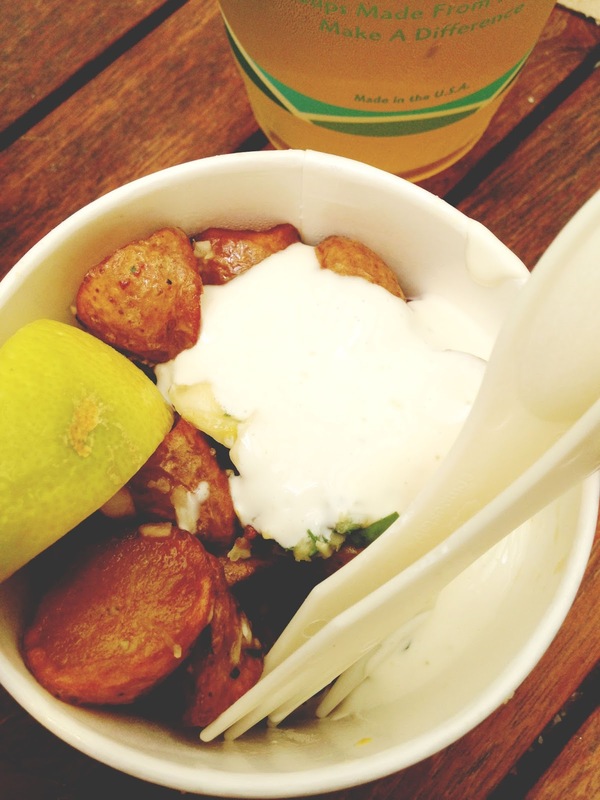 The herby, crispy potatoes are topped with a smooth, lemon garlic cream. They are completely insane. When I told Jon Velvet Taco was opening in Houston this week, his response was "We need to go back and get those potatoes immediately." So if you're in Fort Worth, and you're needing a funky taco fix that will reset the bar for what you envision as the creme de la creme of funky taco joints, look no further than Velvet Taco. 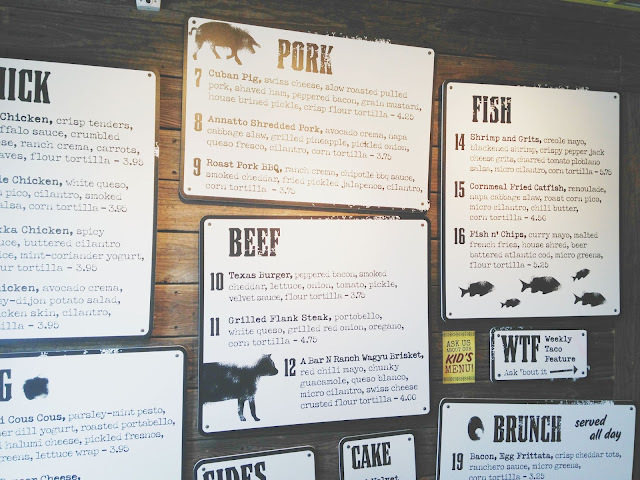 But if you're not in Fort Worth, and you're needing a funky taco fix that will reset the bar for what you envision as the creme de la creme of funky taco joints, just give the one here in Houston a whirl! And please report back to me and tell me what you think! Picnic Chicken, Tots, and the actual red velvet cake are AWESOME!!!! I don't doubt it - Those all sound amazing Will!